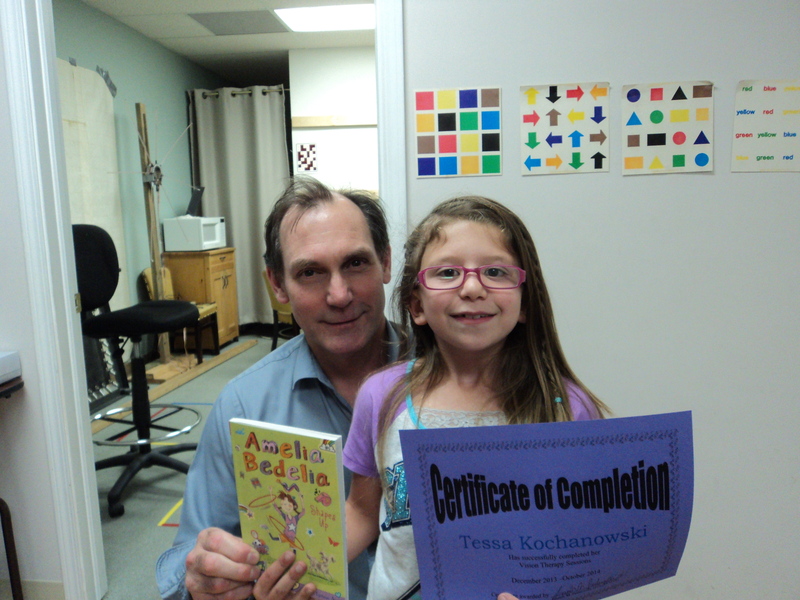 "Tessa was struggling at this time last year in second grade. Everyone was puzzled, except Dr. Pederzolli. He was able to pinpoint all of Tessa's problems. We started therapy in December of 2013. It is now October 2014 and Tessa has really made progress. Last week she brought her interim report home and received A's in reading, spelling, and math! She has worked very hard and Dr. Pederzolli has been very patient. She is proud of her work and very confident."